Bucket bags are in fashion and this one in sky colored base is all the more trendy. 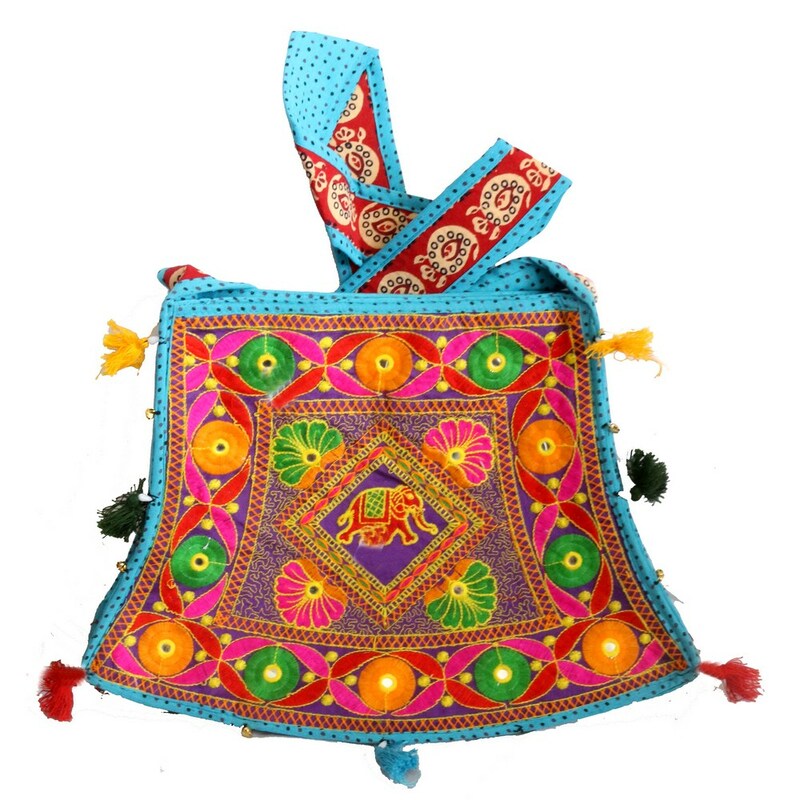 It has a broad band handle of cotton Read More..fabric intricately detailed with ethnic embroidery. The front face is populated with handcrafted designs with no space left void. Customary colourful pom-poms garland in a linear fashion to give the final touch. Show Less..